I made this box to go with this card for my sister’s birthday. The box top was made with a piece of Pool Party DSP. The photo doesn’t show the base of the box, which I made with Island Indigo cardstock. The rose and leaves were cut with the Rose Garden Thinlits. I cut the full shape with Silver Foil, then used Wild Wasabi to cut the leaves and Pink Pirouette to cut the rose. After adhering the Silver Foil outline shape to the DSP, I added the leave pieces and rose petals. It was a little fiddly, but well worth the effort. You can purchase these Thinlits and the Rose Garden stamp set [which I used on the card] as a bundle and save 15%. Check out the new Occasions Catalogue to see lots of other great products. 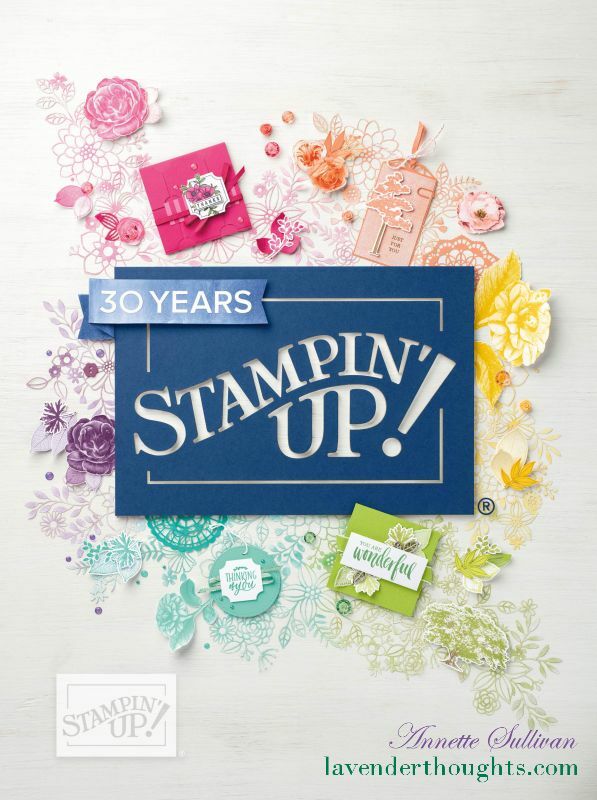 Don’t forget that for every $90 you spend, you will earn FREE product from the Sale-A-Bration catalogue. The Occasions Catalogue is now live as is Sale-A-Bration. Click on the Catalogues menu item on the side bar to download your digital versions or contact me to get your own copies.